International House (IH) Bristol is based in a vibrant, affluent area of Bristol famed for its fine buildings, green open spaces and wide choice of sight seeing activities and nightlife to help you get the best experience of living in England. We offer a personalised service to help you learn English quickly and effectively. Working in small groups, our unique and successful methods will help you speak fluently and sound more natural in English. You will be taught 100 new pieces of language each week and our “phrase of the day” will provide you with the real English expressions that native speakers use all the time but are rarely found in textbooks. The two IH centres offer light and airy classrooms, study room, wi-fi and internet access, students' rooms and private gardens. 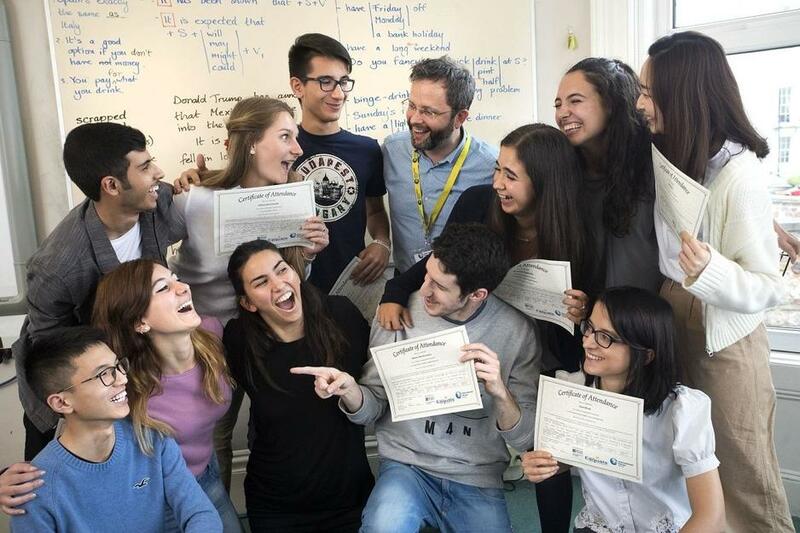 The School is the IELTS and Cambridge Exam Centre for the South West of England and it has exceeded expectations of independent inspection bodies. We are also a Trinity TESOL teacher training centre. Bristol is a friendly city with a rich history and is now a centre for creative, financial and high technology industries. With two thriving universities, it is a young and lively place. Big enough to offer great shopping, places to see and lots of cultural entertainment but small enough to get around easily and not feel lost. Great teachers, very useful content, and relaxed atmosphere ! A nice garden, and a good social program too. The advanced class has a really good level and the lessons meet the needs of the students, the teachers are willing to adapt to the difficulties we could have. I loved it, thanks IHB ! The teachers I had the chance to study with were all very kind and helpfull, thanks to them I made the most of my time at IH Bristol. We had very good teachers and I feel like I’ve finally learn useful vocabulary and idioms! The courses were really productive. We had three amazing teachers, always smiling and caring. They really wanted us to improve and that helped us giving the best of us.